A new Vue.js Server Side Render Template with Webpack2 and Express . Although you may know about SSR, take a moment to read the official Vue guide on Do You Need Server-Side Rendering? 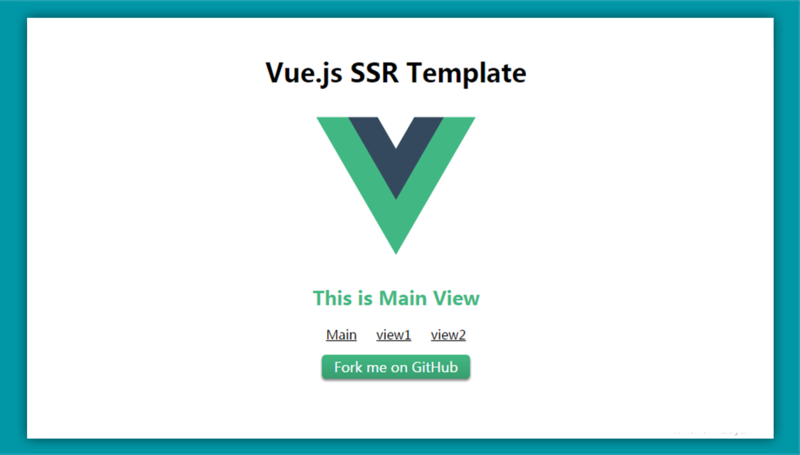 and What’s New in Vue.js 2.0 - Server-Side Rendering, where you can learn about the pros and cons of SSR. Vue 2.0 provides built-in streaming server-side rendering so that you can render your component, get a readable stream back and directly pipe it to the HTTP response. This ensures your server is responsive and gets the rendered content to your users faster. Take a look at the demo Demo with 3 views.